In Part I of Profiting from Sickness, PNGi presented evidence centering on the pharmaceutical company, Borneo Pacific Pharmaceuticals Limited. The evidence adduced came from a range of authorities including, auditors, journalists, medical associations, senior physicians, politicians and the Australian government. Central to all these allegations are claims that Borneo Pacific has been the beneficiary of flawed or rigged tender processes, which saw the company charge premium prices, far in excess of competitors, for medical goods supplied from manufacturers with a reputation for substandard, and counterfeit products. It has also been alleged that Borneo Pacific used its engorged profits, to provide ‘gifts’ to public officials. Borneo Pacific claims its public contracts are above board. In this second installment on the Dark Economy of Public Health, PNGi investigates the network of commercial affiliates in business with Sir Sang Chung Poh, the owner of Borneo Pacific. Sir Poh enjoys close commercial ties with a range of senior physicians and former health department officials. While this is not illegal, it does raise question over the judgement of those medical/health leaders involved in businesses with Sir Poh. 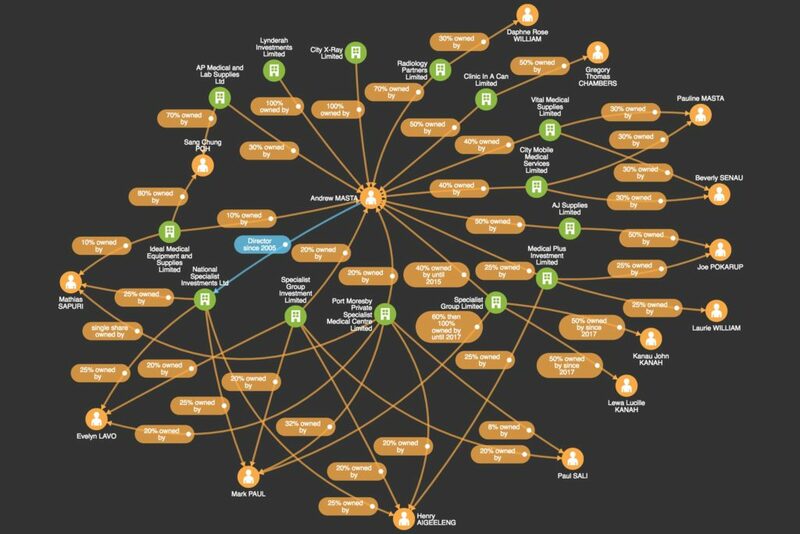 A number of these affiliates, PNGi discovered, have themselves been implicated in a range of illegal activities, associated with public procurement and finance management – although there is no evidence to suggest Sir Poh was in anyway involved in these transactions. This references potentially a much wider integrity problem in the country’s health sector, that involves physicians, university educators and charities, situated at the heart of the nation’s medical establishment. 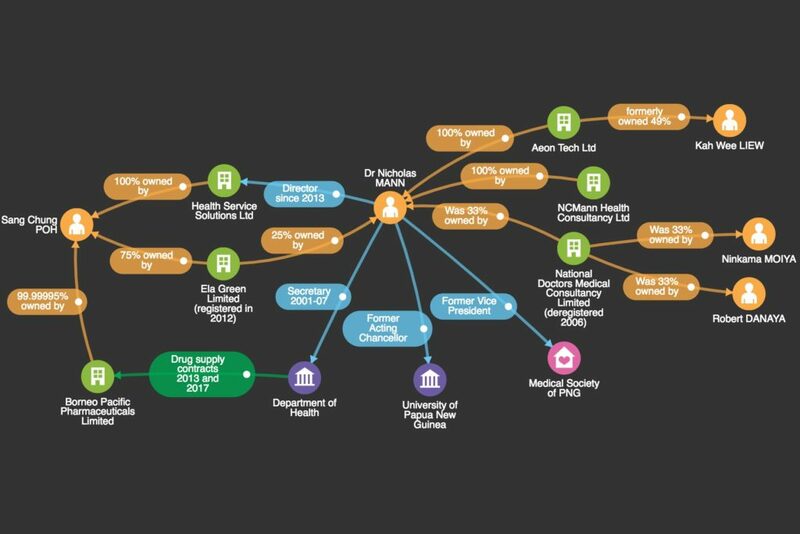 Employing the PNGi Portal database and Visual Investigation Scenarios mapping software, PNGi traced Sir Poh’s formal business affiliations. We found Sir Poh enjoys direct business ties with a number of senior health actors, two of whom have been heavily censured by the national court for improper conduct. Dr Mathias Sapuri, Dr Nicholas Mann, Dr Andrew Masta and the late Dr Joseph Dogodo Igo are all well known and senior figures in the country’s health fraternity. All four are business partners of Sir Sang Chung Poh. 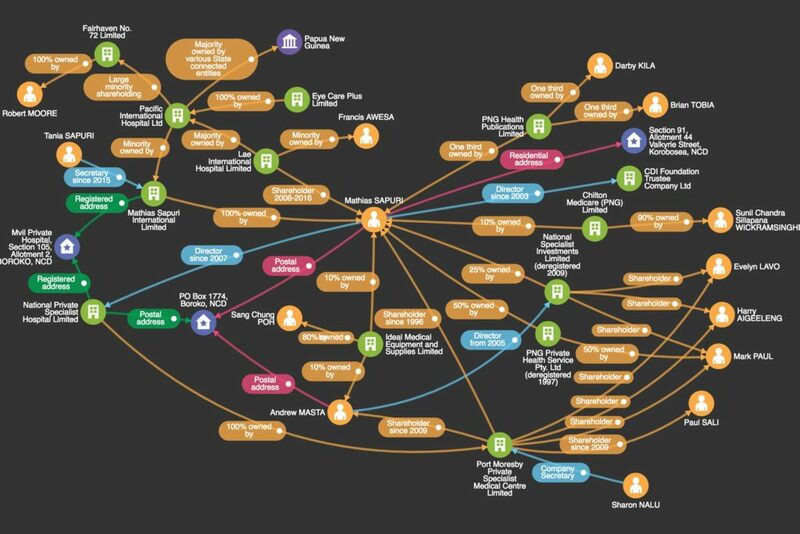 Once Sir Poh’s network had been traced, PNGi began investigating his business partners. The inquiry uncovered a slew of evidence that puts in question the integrity of several senior medical figures in the Poh network. Dr Nicholas Mann is one of PNG’s most senior medical officers. He is also a business associate of Sir Sang Chung Poh. The two co-own Ela Green Limited, while in December 2013 Dr Mann was appointed Executive Director of Health Service Solutions Ltd, a firm 100% owned by Sir Poh. Dr Mann is one node in the Sir Poh business network who boasts both high levels of professional prestige, and high levels of stigma associated with serious allegations of improper managerial behaviour (though Sir Poh is not in any way implicated in these allegations). For example, until recently Dr Mann was Acting Chancellor at UPNG, a position he left to contest the Jiwaka province governorship in the 2017 national election as a member of the Papua New Guinea Destiny Party where he is treasurer. Dr Mann polled 1419 votes and was placed 33rd of 52 candidates. Before academia, Dr Mann was Secretary at the Department of Health from 2001 until July 2007. It was in his role as Secretary that Mann played a central part in the ‘mosquito net scandal’, which ended up costing the Department over 7 million kina in wasted expenditure and a 15 million kina judgement debt. According to the National Court, Dr Mann acted in his ‘own selfish interests’ and ‘breached his fiduciary duty’ to the Health Department by failing to ensure goods were supplied at the lowest possible cost. This case will be examined in more detail below. From 2001 to 2009 Nicholas Mann was also the Vice President of the Medical Society of PNG. It was during this period that the Society President, Dr Mathias Sapuri and Secretary, Dr Sylvester Lahe, misused over K1.3 million in society funds (see below), although Dr Mann has not been implicated directly in this improper conduct. In December 2012, the National Court ordered Dr Mann and the State of PNG to each pay K15 million in damages to a company, Alpar Trading Limited, for the unlawful cancellation of a mosquito net supply contract. According to this decision, the National Court found that in 2004 the Department of Health, under Dr Mann’s direction, developed a project with Ron Seddon and Rotarians Against Malaria (RAM)to distribute treated mosquito nets. The project was financed by The Global Fund and monitored by a Central Monitoring Committee chaired by Dr Mann and Mr Seddon. After two years the Central Supply and Tender Board (CSTB) put the project out to public tender and awarded a K9 million contract to Alpar Trading Limited to supply PermaNet mosquito nets. Dr Mann and RAM protested the decision but an Ombudsman Commission investigation ‘identified no evidence of irregular conduct’. The Vietnamese supplier of PermaNet mosquito nets then informed Alpar Trading it had an exclusive supply agreement with RAM and would not deal with any other supplier in PNG. Alpar subsequently found an alternative supplier, nevertheless Global Fund withdrew its funding and the Alpar contract collapsed. Alpar sued Dr Mann and the State for breach of contract, a claim the National Court upheld. The National Court, it is reported, was especially scathing when it came to the conduct of Dr Mann, who ‘had no intention of allowing [Alpar] to enjoy the benefit of the contract with the CTSB’. The Court also maintained that Alpar ‘could not perform the contract because of impediments placed in its path by, primarily, Dr Mann, who wanted the contract to be given to RAM’. “The contract was “just a farce” and unlawfully terminated by Dr Mann for selfish reasons and not in the best interests of either the Department or the State”, the Court claimed. “Dr Mann had not conducted himself properly in accordance with proper business ethics, and had breached his fiduciary duty to the Department in aligning himself with RAM in its bid for the public tender”. “It was the fault of Dr Mann and, through him, the State that the respondent was unable to perform the contract”. The Court dismissed claims the contract had collapsed because of the withdrawal of funding by The Global Fund. Although Dr Mann and the State launched an appeal against the National Court decision PNGi has not been able to find any report of the final outcome. It will be recalled that in Part 1, we reviewed the critical findings of the Global Fund’s Inspector General in relation to procurement contracts awarded to Borneo Pacific Pharmaceuticals Limited, by the Health Department. According to the National and Supreme Courts, Dr Mann acted in an unethical and improper manner, in a bid to frustrate a CSTB decision awarding a malaria net contract to Alpar Trading. This was evidently done in collusion with Rotarians Against Malaria (RAM), who had previously supplied the nets. It can be revealed that the latter organisation, was also strongly censured by The Global Fund’s Inspector General. This rebuke came after investigations were conducted by the Inspector General into a range of high-value contracts overseen by the Department of Health, employing the former’s funds. According to the Inspector General, a grant was awarded to The Rotary Club of Port Moresby and implemented by RAM. Of course, there is no suggestion Dr Mann was involved in these transactions. Through this grant RAM was involved in distributing mosquito nets to every household in PNG, in addition to providing health staff training. Global Fund’s Inspector General reports that ‘the investigation concluded that substantive and credible evidence exists that two senior executives of RAM engaged in anticompetitive practice to direct a US$1.4m [human resources] contract [in 2009] to a company controlled by the family of one of RAM’s senior executives, to provide RAM’s human resources services’. The Inspector General notes that the Chairman of RAM’s selection committee, which awarded the human resources (HR) contract, was a principal at a PNG law firm, that shared a registered address with the winning tenderer. Additionally, two partners at the law firm were shareholders in the successful HR company. The Inspector General claims that the selection committee’s meeting minutes were falsified in order to cover up the flawed tender process. As a result, it is argued, a rival bid of K 2 million was unfairly overlooked, and the contract was instead awarded to a firm with a price set at K 3.3 million. RAM, in its response to the report, rejected these findings. The Inspector General maintained the accuracy of its conclusions. Clearly, this occurred after Dr Mann left the Department of Health, and there is no claim that he was in any way involved in this particular episode of alleged malfeasance. Nevertheless, it is important to note that a charitable organization, which is accused of having conspired with Dr Mann to frustrate public tendering procedure relating to malaria nets, is also alleged to have improperly conducted procurement, using The Global Fund grant moneys. Dr Mathias Sapuri is a senior gynecologist and obstetrician. In 2016 he was appointed Chair of the West New Britain Provincial Health Authority. He is a former President of the PNG Medical Society, a role he served in for eleven years from 1999 to 2010. During that time he praised Sir Sang Chung Poh, after Borneo Pacific made a sizable donation to the society. He also served as Acting Vice Chancellor of the School of Medicine and Health Services at UPNG. Dr Mathias Sapuri is another senior medical figure enjoying a close business relationship with Sir Sang Chung Poh, the owner of Borneo Pacific Pharmaceutical’s Limited. Specifically, Dr Sapuri is a minority shareholder in the company Ideal Medical Equipment and Supplies Limited, registered in 2008. The majority of the shares in the company (80%) are held by Sang Chung Poh. Dr Sapuri holds 10% and Dr Andrew Masta owns the other 10%. There is more about Dr Masta below. Dr Sapuri’s business relationships with Sir Sang Chung Poh and Dr Masta, are just one part of a much larger corporate network, Dr Sapuri is embedded within. Like Dr Mann, Dr Sapuri has courted public controversy. Matters to which we will now turn. In 2010 a debate erupted over government plans to build a new private ‘super hospital’, the Pacific Medical Centre. Dr Mathias Sapuri was the head of the technical Working Committee in charge of the project. The Health Minister, Sasa Zibe, was a staunch supporter. The proposal for a new hospital drew heavy criticism from within the medical sector and sections of the media. Critics, including Dr Glen Mola, argued that the money could be better spent on improving existing health facilities around the country that would be accessible to the majority of the people, as opposed to an exclusive facility that would be very difficult, if not impossible, for most people to reach. Indeed, Mola argued, the ‘Super Hospital’ could jeopardize the entire PNG hospital sector. The United States government was forced to deny PNG government statements that it would be funding the new hospital. Claims of Clinton Foundation support were also shown to be baseless. 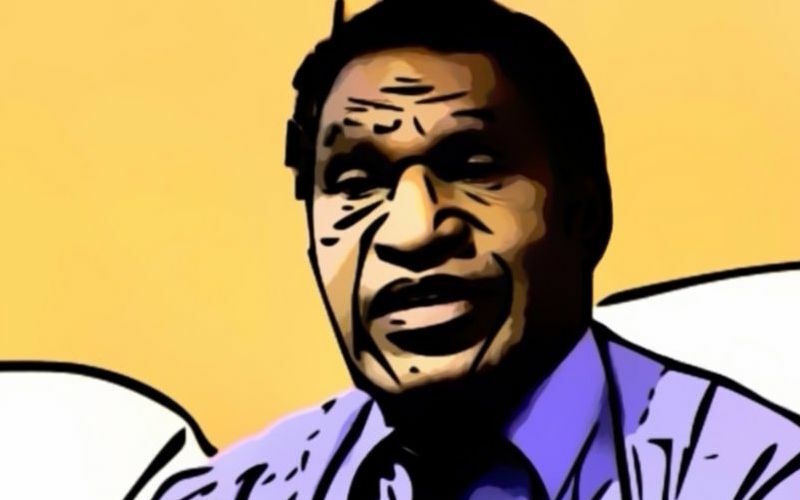 In 2011 it was suggested Dr Mathias Sapuri and Dr Sylvester Lahe had misused over K1 million in PNG Medical Society funds while they were the association’s president and secretary respectively. It was alleged there was K820,614 in spending that could not be accounted for and a further K297,802 in cash had been received by the pair, including a K100,000 withdrawal from the Medical Society’s account in Wewak by Dr Sapuri in August 2010, a day after he was replaced as President. 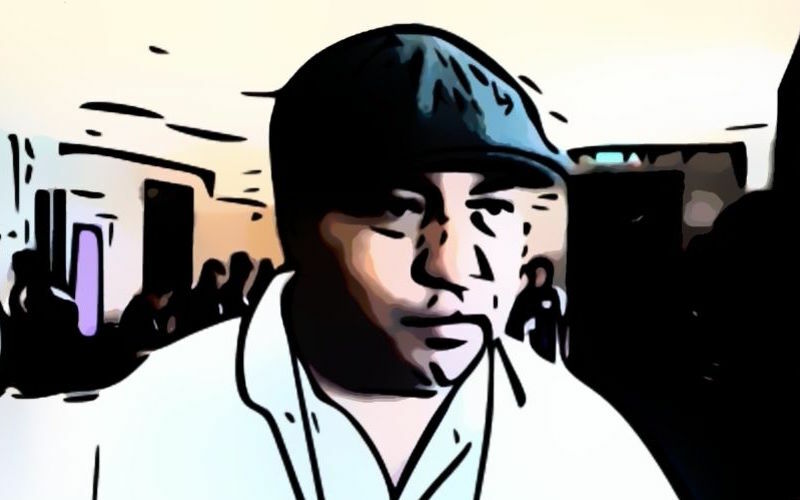 Although Sapuri claimed the allegations were ‘highly defamatory’ and were being ‘cooked up’ by ‘people trying to smear my reputation’, the National Court did not agree. It upheld the allegations and ordered Sapuri and Lahe repay K1,317,428 plus interest and return a Nissan Sunny motor car to the Society. ‘Sapuri should be referred to the police for criminal investigation and prosecution for committing fraud and stealing offences under the Criminal Code”. 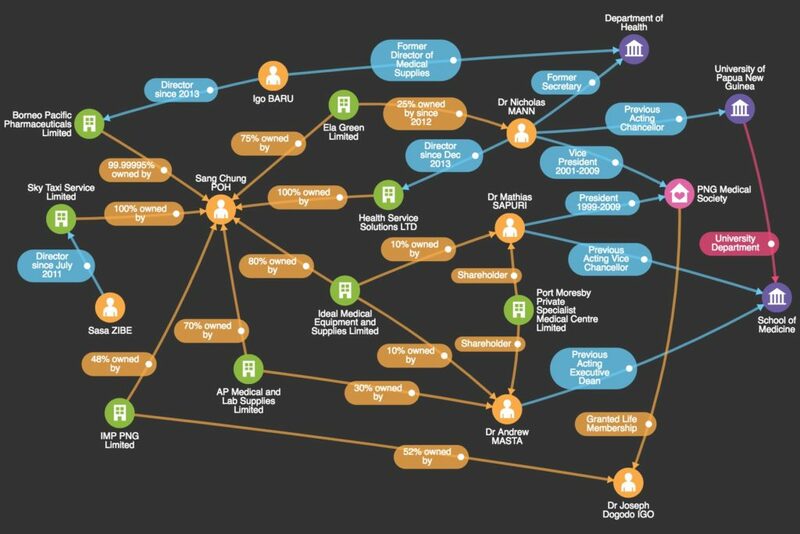 While Dr Sapuri and Dr Mann, are among the most controversial nodes in Sir Poh’s networks, the owner of Borneo Pacific also has close ties with members of the medical fraternity less embroiled in public scandal. For example, Dr Andrew Masta is another senior clinician with business ties to Sir Poh, and indeed Dr Sapuri. Dr Andrew Masta is the Chief Operations Officer at Port Moresby Private Specialist Medical Centre (which he partly owns). He has also served as Acting Executive Dean of the School of Medicine and Health Services at the University of PNG, alongside his business partner Dr Mathias Sapuri. An ‘Assoc. Prof, Andrew Masta’ is listed as an associate editor of the Pacific Journal of Medical Science. In addition to the above roles, Dr Masta is a minority shareholder in the company Ideal Medical Equipment and Supplies Limited. 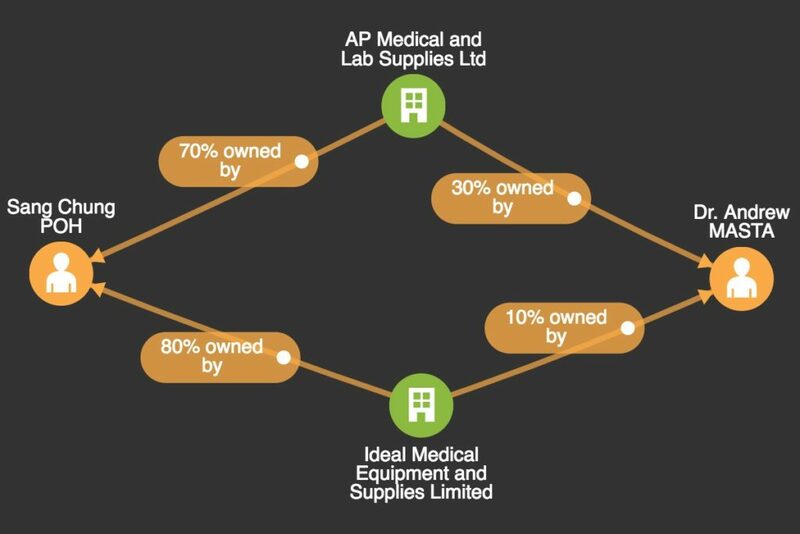 The majority of the shares in Ideal Medical Equipment and Supplies (80%) are held by Sang Chung Poh. 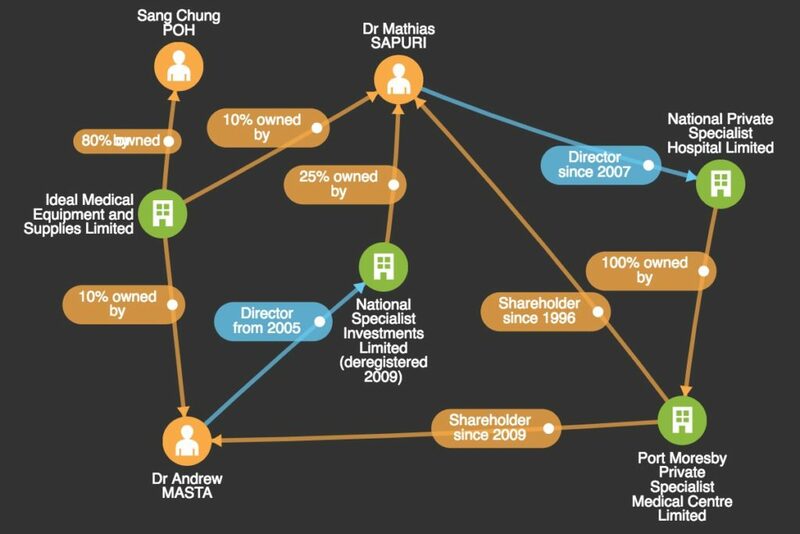 Dr Andrew Masta holds 10% of the shares and Dr Sapuri (who Masta is variously connected with) owns the other 10%. Sang Chung Poh and Dr Masta are also in business together through the company AP Medical and Lab Supplies Limited. Masta owns 30% of the shares and Mr Poh 70%. Like Dr Sapuri, Dr Andrew Masta also has other, quite extensive, company interests. Professor Joseph Dogodo Igo – who passed away in 2016 – is the fourth senior medical figure, PNGi has identified as associated with Sang Chung Poh. In 2007 Dr Joseph Igo was awarded an O.B.E for ‘services to medicine and microbiology’. Before that, in 2004 he was awarded Life Membership of the Medical Society of Papua New Guinea as a ‘retired academic’. At the time of the award, Dr Mathias Supari was President and Dr Nicholas Mann was Vice-President of the Society. Dr Igo’s link to Sir Poh, occurs through IMP PNG Limited a company registered in February 2015, with two shareholders. Dr Igo, holds 52% of the shares, and Sang Chung Poh owns the remaining 48%. According to the company’s latest annual return, its principal business is as a pathology laboratory and employs eight staff. From August 2007 until August 2011, Sasa Zibe was the Minister for Health in the government of Sir Michael Somare. He had previously served as Minister for the Environment and Minister for Agriculture. It was during the period Zibe was Health Minister, that at least two of the contracts to Borneo Pacific Pharmaceuticals Limited cited in the report of the Global Fund’s Inspector General and discussed in Part 1 were awarded by the Health department. According to Investment Promotion Authority records, a Sasa Zibe is the director of a company called Sky Taxi Service Limited. Sky Taxi Service is a company 100% owned by Sang Chung Poh, who also owns almost 100% of Borneo Pacific Pharmaceuticals. However, before we reach any conclusions, a number of additional facts ought to be noted. First, Sky Taxi Services Limited was incorporated in June 2011. Sasa Zibe was appointed company director during July 2011. That is just one month before Health Minister Sasa Zibe was replaced as Minister by Jamie Maxton Graham. Second, the Sasa Zibe listed as a director of Sky Taxi Services, is recorded as having been born during 1986. Sasa Zibe, the former Minister, was born in 1958 or possibly 1957. Ex-Minister Zibe, does though have a son, Sasa Zibe Junior. Elsewhere in the Investment Promotion Authority’s (IPA) corporate disclosure database, Sasa Zibe Jnr gives his date of birth as June 1985 (not 1986) and uses a different signature to that used on the IPA records of Sky Taxi Service. Before we conclude though that the Sasa Zibe associated with Sang Chung Poh through Sky Taxi Service is not the same person as Sasa Zibe the former Health Minister or even his son, it ought to be noted that the Sasa Zibe who signs the Consent of Director form for Sky Taxi Service has the same signature, postal address and date of birth as the Sasa Zibe who appears on the Shareholder Consent form for Ngasab Holdings Limited. On that form though, he gives his residential address as Section 19, Lot 36, Trist Avenue, Eriku, Lae. That same residential address is used by a Sasa Zibe born in 1957 on the shareholder consent form for MBG Limited. Clearly then it is possible that the Sasa Zibe who is listed as a director in Sky Taxi Services Limited, a company owned by Sang Chung Poh, could possibly be either the ex-Minister of Health or a relative. However, this is a fact that would need to be confirmed by the ex-Minister, it is impossible to make this determination based on the company records. The documents below illustrate some of the different of addresses, signatures and other personal details provided by persons named Sasa Zibe in the records of the Investment Promotion Authority. 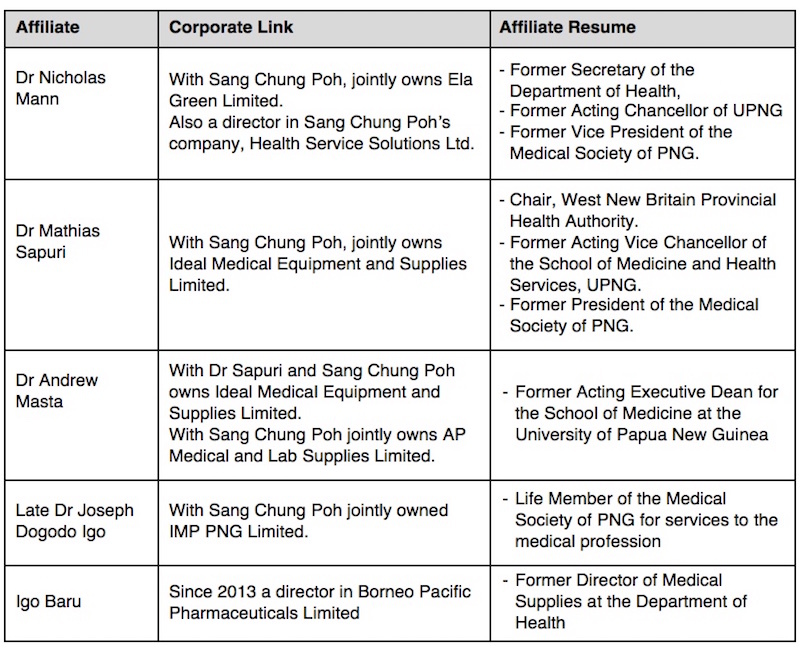 In Part II of Profiting from Sickness, PNGi moved horizontally through the network of affiliates associated with Sir Poh, the controversial principal of Borneo Pacific Pharmaceuticals. This investigation has revealed that Sir Poh is in business with some of the country’s top physicians, educators and professional leaders. Clearly it isn’t illegal for senior members of the nation’s medical fraternity to enter into business with Sir Poh, but in light of the serious evidence of impropriety levelled against Borneo Pacific, it does raise questions over their judgement. Worryingly, a number of the nodes in the Sir Poh network, have themselves been rebuked for financial mismanagement, and improper procurement practices. PNGi also found concerning evidence that a major national charity was a central player in at least two improper, high-value procurement transactions. If the nation’s top medical authorities, educators and charities cannot be relied upon to ensure proper procurement and financial management procedures are adhered to, there is little hope that those in the private sector will be any more respectful to the law. And with the lure of super-profits seemingly exerting an iron grip on the national health system, can the interests of patients really prevail?